Check it out! Patrick McGill and the Evil Seed Sauce Company put out a press release announcing their new Carolina Reaper Hot Sauce! If you recall, “It’s a Fiery World” reviewed Evil Seed’s signature sauce some time back (check archives for the review). So I am excited to post their release and look forward to a (small) sample of Carolina Reaper! Not that I’m wimpie or anything, but I’ve tasted Reaper Mash and other Reaper-based sauces, and my scorching body parts, fore and aft, have already told me that I will “Reap what I sow”!!!!! And that is because, yes, Ladies and Gentlemen, It is a Fiery World! 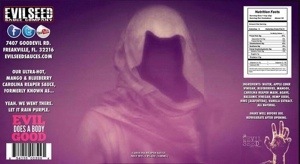 Instantly singled out by the purple color with only a Grim Reaper as it’s label, the unnamed sauce consists of high-quality, all-natural ingredients, resulting in a classic hot sauce with the flavor that everyone will come to know and love. 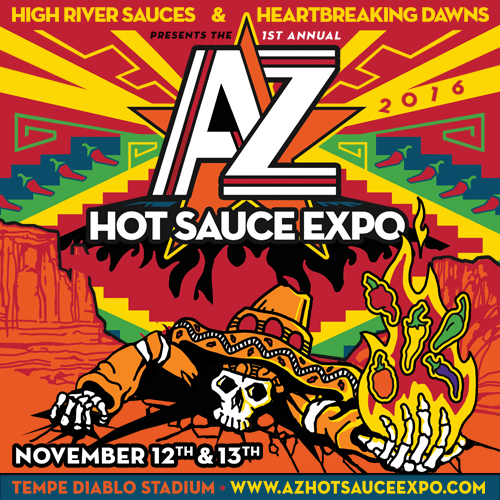 The sauce’s heat level averages out at 1.474 [Million] Scoville Heat Units (SHUs), 280 times hotter than a jalapeño pepper. Our collective Fiery World means a lot of things – usually, for me, it’s a fun tagline for my blog celebrating all things hot and spicy. But on a serious note, sometimes people live in a World filled with a Fiery challenge…an intense fight with great struggle and consequences. Such it is with Breast Cancer. While I was in NOLA for the Chile Pepper Extravaganza recently, I spent some time with Michele and Tom Was, owners of Intensity Academy. 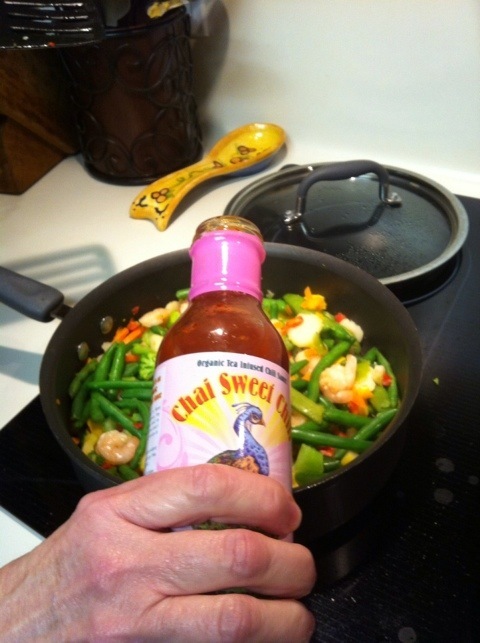 I reviewed their Chai Sweet Chili sauce on Hot Sauce Daily early in 2012 and also re-posted here that May for a Mother’s Day special. To refresh your memory, the sauce is dedicated to Michele Northrup’s mom, Barbara, who lost her personal battle to cancer! 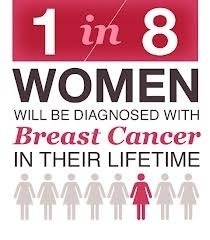 On a personal note, I lost a sister-in-law to Breast Cancer, so it’s also very close to my heart, as well. So, given that it’s one of my all time favorite sauces, and October is Breast Cancer awareness month, and Intensity Academy donates a portion of all sales of Chai Sweet Chili Sauce to Breast Cancer related charities, I’m running the review for a “third time’s the charm” to highlight a great opportunity to order a wonderful sauce, honor two wonderful women (and millions of others), and help fight the fight faced by so many. 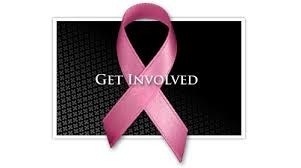 Please follow your heart, readers, and support the fight against Breast Cancer any way you can! 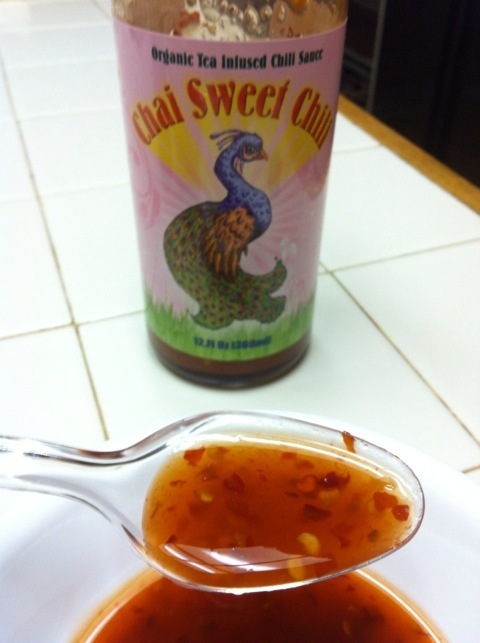 My original review of Chai Sweet Chili Sauce is re-posted below in Hot Sauce Daily’s style and format, where the review originally appeared in February, 2012. She proceeded to share that the sauce was dedicated to her mom, Barbara Northrup, who Michele lost not long ago. And even cooler still, Intensity Academy donates a portion of the profit from sales of their Chai Sweet Chili Sauce to cancer related charities. And then, later that night, this sauce won a Golden Chili in the Asian sauce category. And with that as our backdrop, let’s give Chai Sweet Chili a ride around the block and see what’s under the hood. A Little Slice of Heaven! Jalapeño Jeaven, That Is! I love stuffed peppers! Doesn’t matter what kind they are – bell, poblano, hatch, anaheim, liberty bell….wait, scratch that one- it’s cracked…….and of course, the lil’ ol Jalapeño! But stuffin’ and cookin’ those rascals can be a challenge if you don’t have a holder for them. And most holders are well, flawed! Holes too small, holes too big, no place to grab hold of the rack, feet too little to keep it stable on a grill or oven rack. Oh, for someone to make a better pepper placement thingy! (yea, I was lookin’ for a cool “P” word for tray or device, but alas, nothing!) Well, wait no more. I recently acquired THE perfect rack for my stuffed Jalapeños! 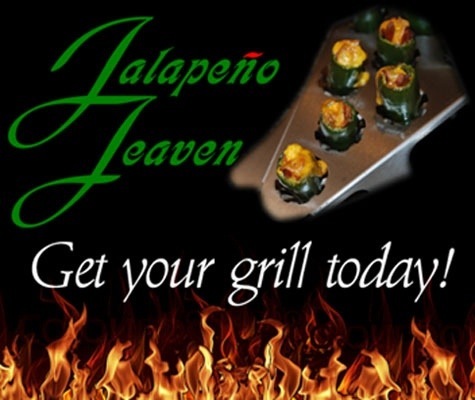 A fairly new company out of Texas, Jalapeno Jeaven (notice the play on Spanish with the whole “J” sounding like “H” for Heaven thing! I have to admit I was a bit slow on the uptake on that one! 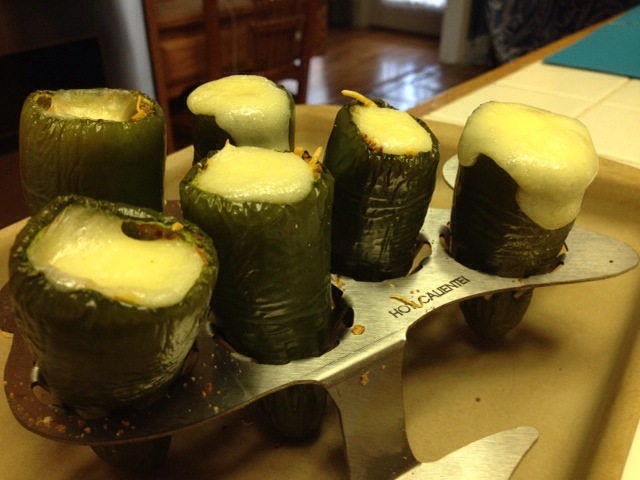 ), has developed a better mousetrap, er…..rack, for stuffing peppers on the grill or in the oven. With units varying in size from the six pepper version you see here, to the monster 40 hole tailgate size, they’ve learned from the shortcomings of wannabe racks. I received their small version, which is perfect for a quick appetizer session at my jouse (get it? jouse? House? LOLOL I crack myself up sometimes!) and put it through the paces. The racks are made from heavy duty stainless, have an easy to grip handle, and very stable feet, so it was very easy to use. The holes, while uniform, have air slots which served double duty – allowing a variety of pepper sizes and for good airflow around the pepper while cooking. 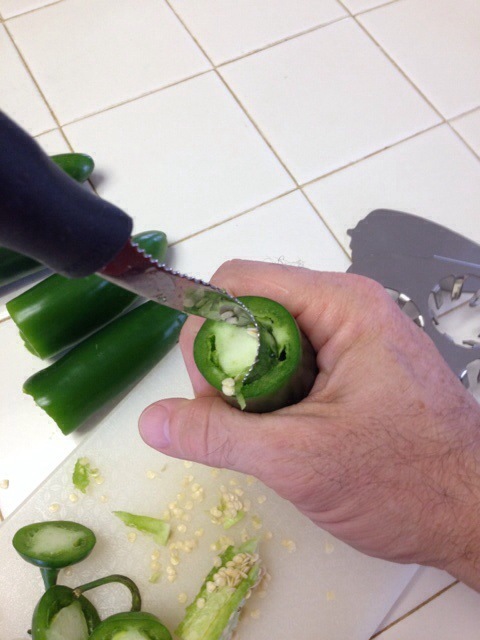 I did find myself having to push the peppers into the holes so they didn’t lean, but it worked well. And while other racks prevent airflow up and around the pepper, my peppers cooked evenly up and down, and all around! And to quote good ol’ Ron Popeel, “But wait! There’s more!”, my kit came with the pepper coring tool! It made very quick work of coring the peppers! I was sad when they were all done! I was having too much fun and wanted to do more! The coring tool only adds $5.00 to the kit, well worth the little bit of extra money for the ease of use it brings to the table! I’m trying to think of a negative or something I’d like to see changed, but honestly, I’m struggling to help make an almost perfect mousetrap any better! Maybe reassess the whole Jeaven thing for us slow on the uptake types who can’t get the play on words initially, but that’s about it. If you go to their website, there are videos, recipes, etc. to help you along with your pepper poppin journey! All the way around, great job! So it’s a 4 1/2 Fiery World vote from this reviewer! 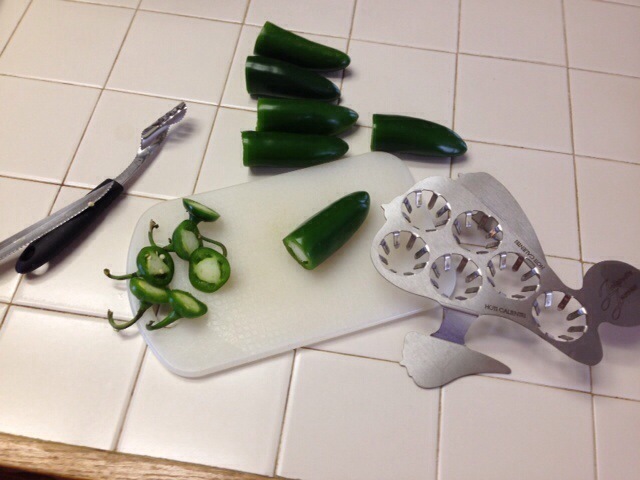 If you like to stuff your Jalapeño’s, then seriously check out the Jalapeño Jeaven pepper rack. And remember, Ladies and Gentlemen – It’s a Fiery World!!! !